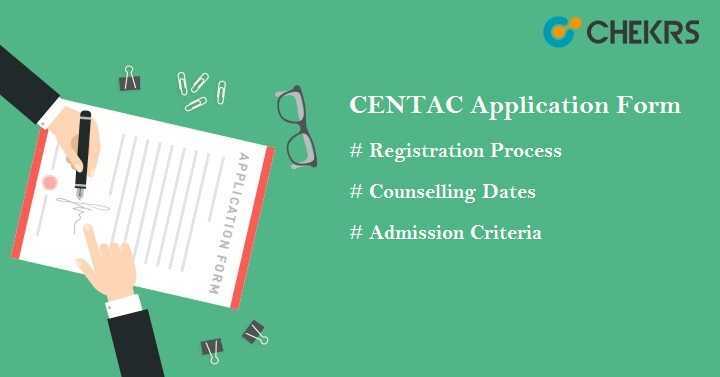 CENTAC Application Form 2019: Centralized Admission Committee (CENTAC) provides admission into various courses & professional courses in different government colleges of Puducherry. CENTAC Admission is a counselling process; admission will be done on the basis of marks obtained in the qualifying exam. For MBBS & BDS, candidates have to appear in the NEET exam and on the basis of NEET score card, candidates can get admission into medical colleges across the country. For B.Tech courses, JEE score card is mandatory. CENTAC will release the CENTAC Online Application Form in the month of May. Candidates must fill & submit the form before the last date. After registration process, counselling will be performed for eligible & qualified candidates. Candidates are advised to check important dates related to CENTAC 2019 here. He/ She must be bonafide resident of Puducherry. For PG courses, candidates must not have completed 35 years as on 31.12.2019. For other courses, minimum age limit will be 17 years as 31.12.2019. Keep all necessary scanned and self-attested documents together while filling the application form, they will need to upload them. Visit the official site of CENTAC i.e. centacpuducherry.in . First Candidates have to register. Click on “New User Registration”. Enter name, mobile no, mail id & set password. Submit the registration form. After submitting CENTAC Registration Form, registration confirmation message will be displayed on the screen. After registration, registered user have to login into the account with the registered mail id & password. Fill all the personal details, academic details, upload required documents & images. Upload required scanned, self-attested documents & photograph at the proper place. Photo must be recent, colored & passport sized and uploaded only in jpg format. Size of photo should be between 20 – 25 KB. Pay the application fee through online mode only via net banking/credit card/debit card. Mark sheets of qualifying examination. Rural Certificate (if applicable), only for Undergraduate Arts, Science & Commerce courses. Certificate in support of the claim for reservation under different categories such as Community / Persons with Disability / Freedom Fighter / Ex-serviceman / Sports. Keep the print-out of confirmation page or application form after final submission.